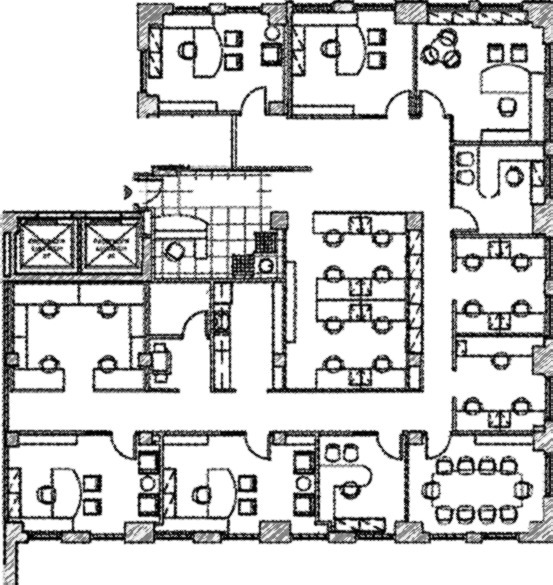 Grand Central Commercial Sublet Rental | Madison Ave - $55 / 5055 SF. Prestigious law firm seeks a sophisiticated commercial practice to sublease a portion of their recently renovated, tastefully decorated office space. 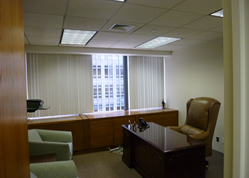 The following class A office sublet stands in a high rise office building which is located close to Grand Central station. This sublet space is like new and move-in ready for immediate occupancy; the space may come with furniture and phones - at request, making for a true turn-key solution in midtown. On our initial tour we found the sublet space consisted of the following; 7 perimeter windowed offices, 19 workstations, additionally there is a conference room, kitchen, and high speed copier/scanner mail room. The offices are fully wired for internet and phones. The lease term is shorter than the average allowing you to enjoy the comforts of a premiere office space but without the long term commitment. 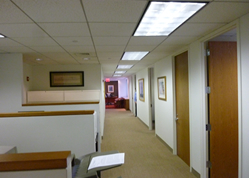 This space is great for growing law firms or hedge funds requiring a shorter term lease! 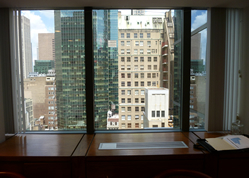 The Grand Central area offers a convenient solution for those who seek offices in midtown Manhattan. 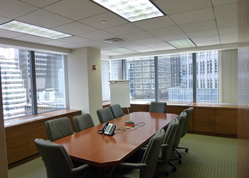 This featured commercial sublet offers you a top quality business environment at a prestigious NYC address, only minutes from Grand Central Station which offers easy access to a huge variety of shops, restaurants, cafes, hotels, banks, shops and other local services and amenities.